Dr. Wilhelmy completed her undergraduate work in biochemistry at the University of Pennsylvania, and went on finish a master’s degree in chemistry. She graduated from the University of Pennsylvania School of Veterinary Medicine, and remained to pursue an internship and then a residency in veterinary behavioral medicine. 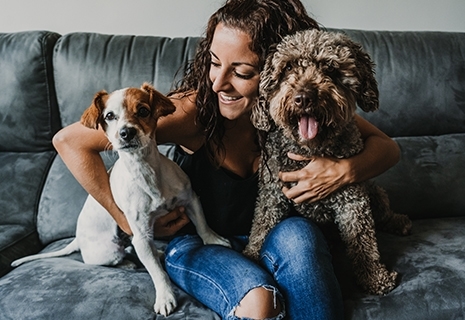 She has treated feline and canine patients presented for separation anxiety, compulsive behavior, inappropriate elimination, affective aggression, environmental phobia, predatory behavior, thunderstorm and noise fear, and generalized anxiety disorder. Dr. Wilhelmy has also spent time with the New Bolton Center’s Section of Reproduction & Behavior, as well as the MJR-VHUP’s Exotics Service, learning about the behavior of other domestic and wild species. 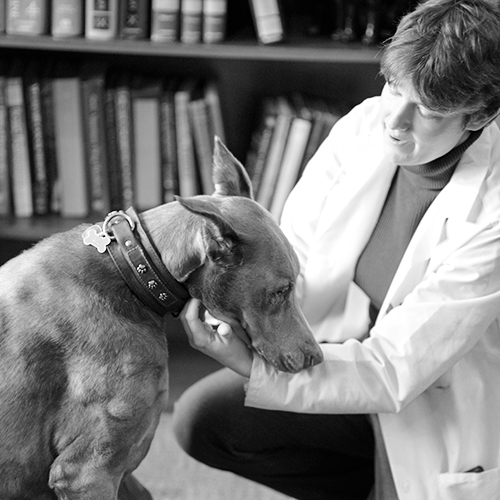 She is a Diplomate of the American College of Veterinary Behaviorists. In her spare time, Dr. Wilhelmy enjoys learning about real world applications of behavior modification (and there is always more to learn!). She has taught agility and basic manners at a local dog training club, Y2K9s. Although she has dabbled in herding and continues to enjoy recreational canicross, her true passion is dog agility. She is owned by two Border Collies, Mer and Obi, who amusingly have more letters after their names than she does.